These macarons are luxurious, flavorful, and colorful. The bright pink is perfect for springtime! Sadly, I was preparing these on a rainy day... The humidity affected the rise, so the macarons didn't have a great foot. Try to prepare these on a dry day so that the shell does not crack, and the food will form nicely. 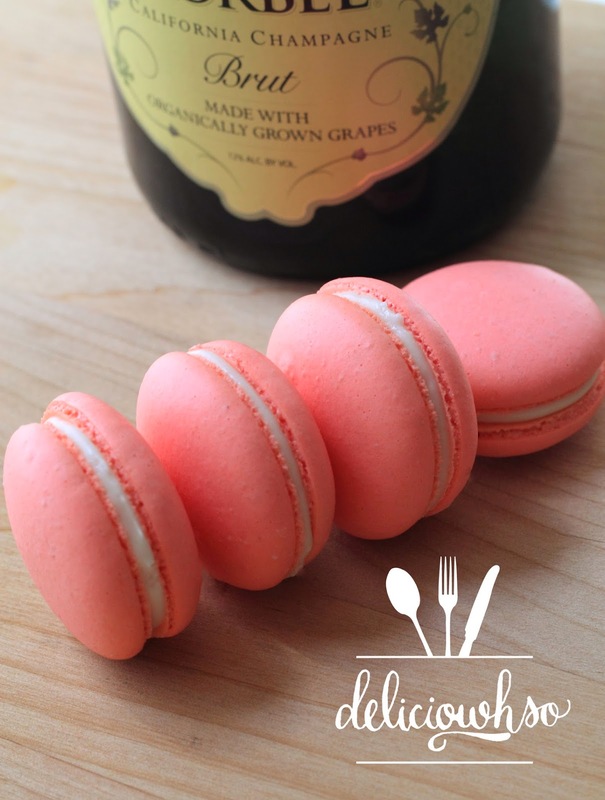 When making these macarons, be sure to make the ganache and jam at least 4 hours before you make the shell. I made mine the day before so that the flavors would have plenty of time to develop. 7 Use a rubber spatula to fold the dry ingredients into the meringue until the batter moves slowly, like lava. If you run your spatula through it, it should fall together after 5-7 seconds. 2. Heat the champagne and heavy cream until they boil. 3. Pour the hot cream over the white chocolate. Gently stir until combined. 4. Cover the ganache with a piece of plastic wrap. Allow the wrap to touch the surface of the ganache so a film does not develop. 5. Allow to cool in the fridge for at least 4 hours or overnight. 6. Then, whip the ganache on high speed until it thickens and holds peaks. 1. Place the ingredients into a small pot. 2. Cook on low heat until the mixture becomes thick and pasty. 3. You want to be sure that almost all of the moisture is cooked out. When that happens, remove from heat and transfer to a container to cool. 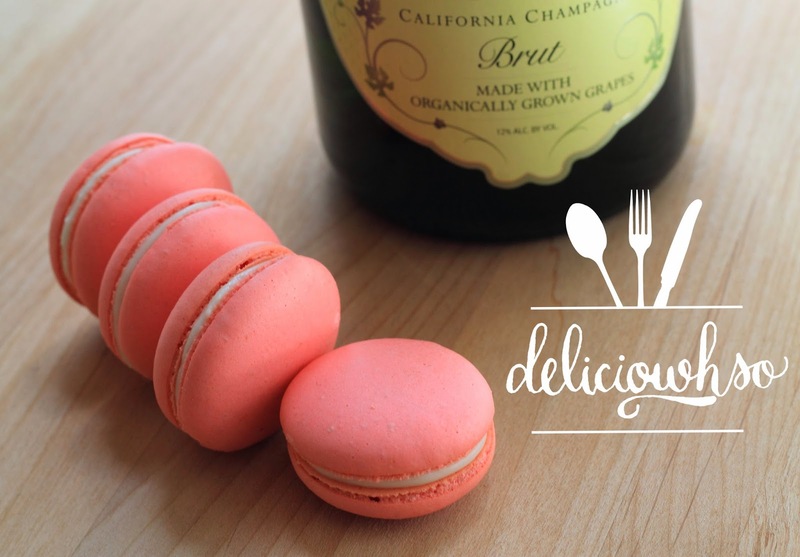 These macarons are the perfect gift for Mother's Day, Easter, or any springtime celebration. I hope everyone had a wonderful, restful Easter. Yes!! Use Pumpkin seeds!! My cousin has a horrible nut allergy and I have ground up pumpkin seeds into a flour to replace in all almond flour recipes and it works GREAT in macaroons. The taste is unnoticeable, you don't get that almondy flavor; but I really don't miss it. Only two things to keep in mind. Grinding your own flour can take a while, so plan ahead. And the seeds are green so my cookies had a bit of a green hue to them. As long as you really go heavy on the food coloring it should be fine though! Hope that helps!! Purchasing champagne woodwinds and having them separate is cash going the deplete. I am very certain a great many people would not need this.